Huawei took to the stage yesterday to announce their flagship successor, the Huawei P9 that combines everything that is great about the Nexus 6P and the Mate S and evolves them. What we ended up seeing was a collection of highly interesting phones that packed some incredible features and some unique additions to really sent them apart from the competition. 3GB RAM and 32GB storage. 4GB RAM and 64GB storage. Huawei P9 Plus with pressure sensitive display. Each model will have their own colour selection featuring some unique colours schemes. The Huawei P9 has a 5.2-inch and P9 Plus at 5.5-inch Super AMOLED display. The 5.2-inch model comes with a Full HD resolution and 423 pixels per inch (ppi). Huawei claims this devices has 96 per cent colour saturation (directly comparing it to the iPhone’s 72 per cent), while brightness is rated at 500nits. 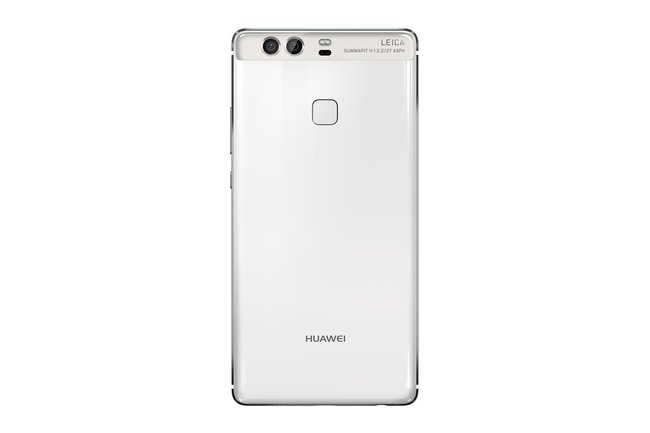 Whereas the 5.5-inch screen of the Huawei P9 Plus has a 1080p resolution and combined with pressure sensitive technology. The P9 and P9 Plus have the Kirin 955 chipset. This comprises of four 2.5GHz A72 cores, and four 1.8GHz A53 cores. There is also support from a Mali T-880 for graphics. A microSD card slot and USB Type-C connection for fast charging have also been included. The cameras have been developed in partnership with Leica and both P9’s feature two 12-megapixel sensors, fronted by a Leica Summarit lens. Unlike other dual cameras phones on the market Hauwei have opted for a more interesting approach. One camera features a colour RGB sensor and the other is a monochrome sensor. As we would suspect the camera can combine the information to create a better picture and allow the user to change the focal distance but the dedicated monochrome function captures in black and white, rather than using a filter in post-processing. There is also an 8-megapixel front-facing camera for selfies the P9 Plus has added of autofocus to this camera. P9 measures 145 x 70.9 x 6.95mm and weighs 144g. The P9 Plus measures 152.3 x 75.3 x 6.98mm and weighs 162g. Prices start at €599 (around £480) for the 32GB Huawei P9, €649 for the enhanced 64GB model, and €749 for the 64GB Huawei P9 Plus. The unfortunately it looks as though the enhanced P9 is not due to be released in the UK. The P9 is due for release across UK, Europe and Asia from 16 April. Huawei P9 Plus will be available from 20 May in these regions.